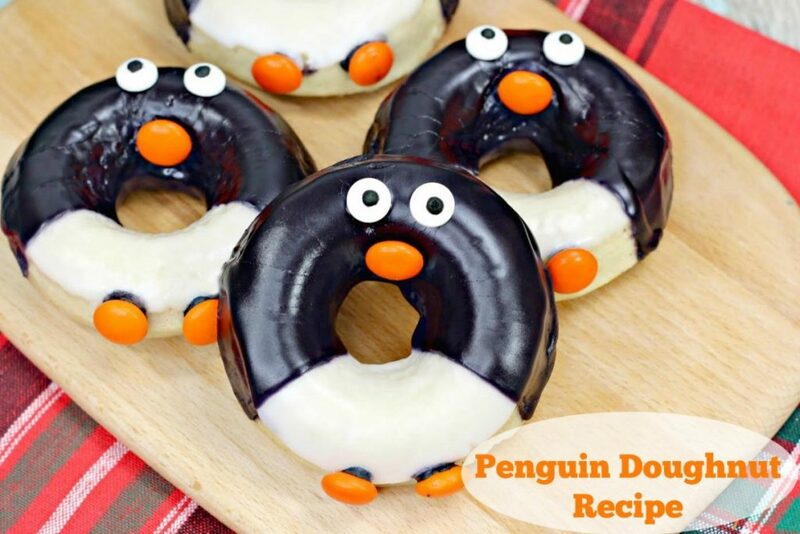 The kids will be begging you to make this adorable Penguin doughnut recipe again and again. 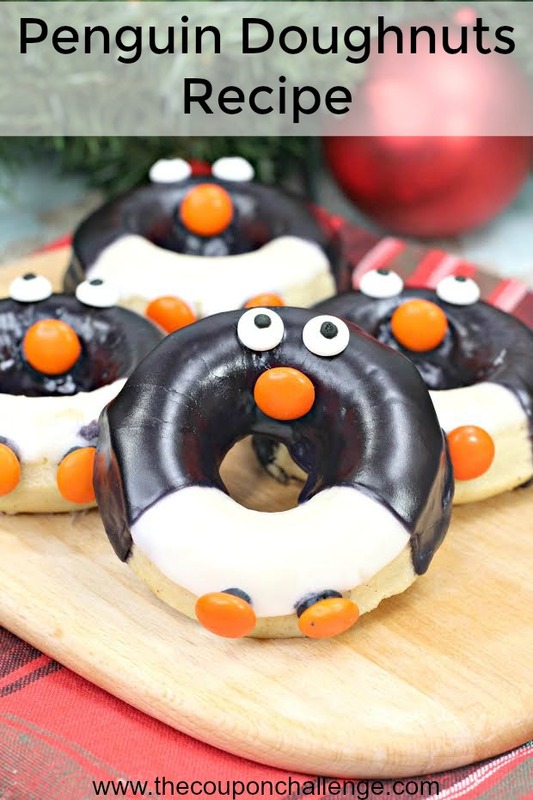 With a bit of work you can take an easy doughnut recipe and turn it into an adorable creation. 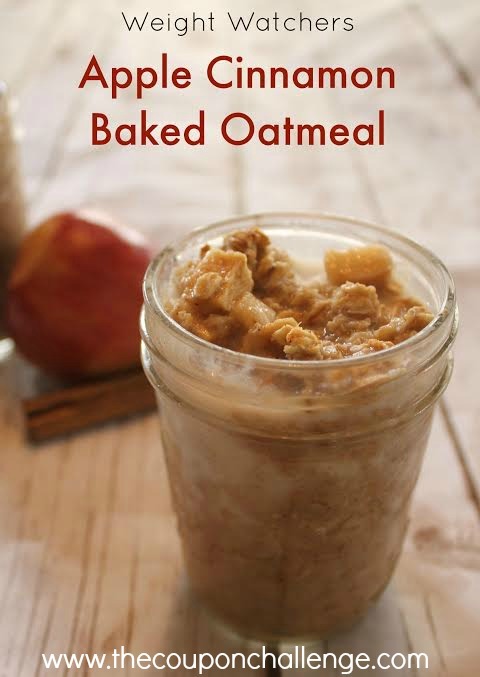 You could make a double batch and surprise your children class at school or make something extra special on a Saturday morning. 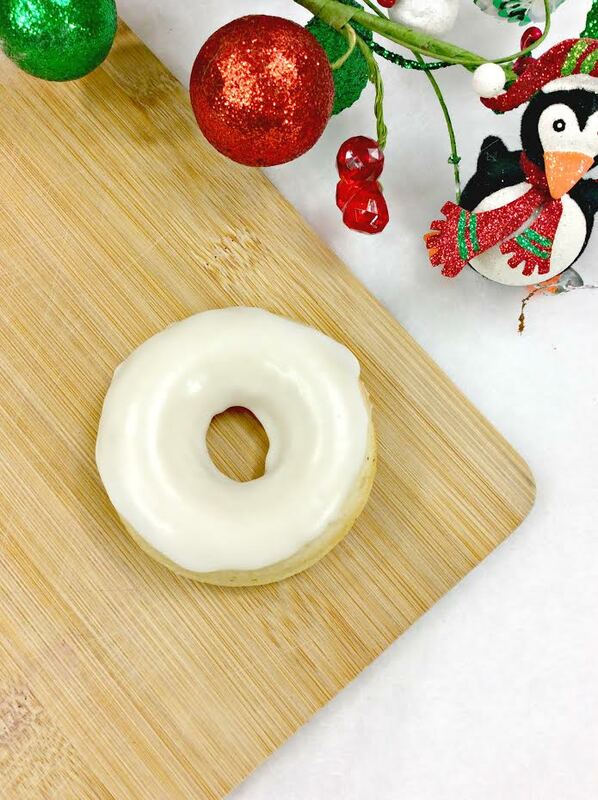 Please note there are 2 parts to this doughnut recipe. 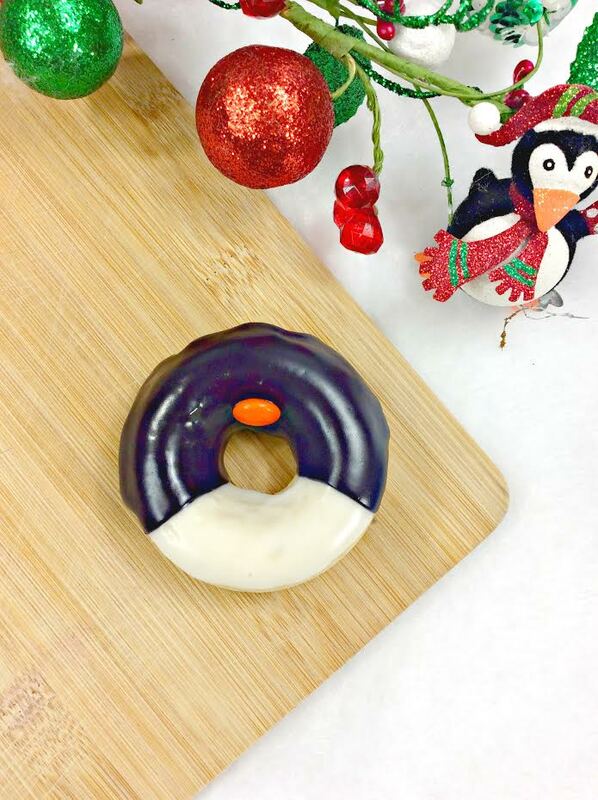 Below you will find a doughnut ingredient list and set of directions as well as an icing ingredients list an separate set of directions to finish off your penguins. Whisk together the whole milk, sour cream, and eggs into a separate bowl. 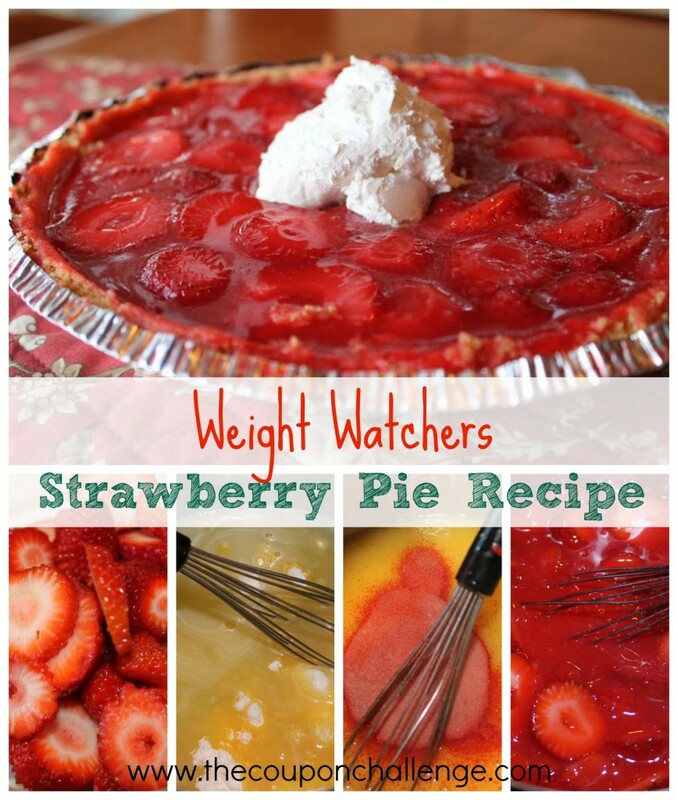 Whisk all ingredients together in a stand mixer, using the water to adjust for desired consistency. 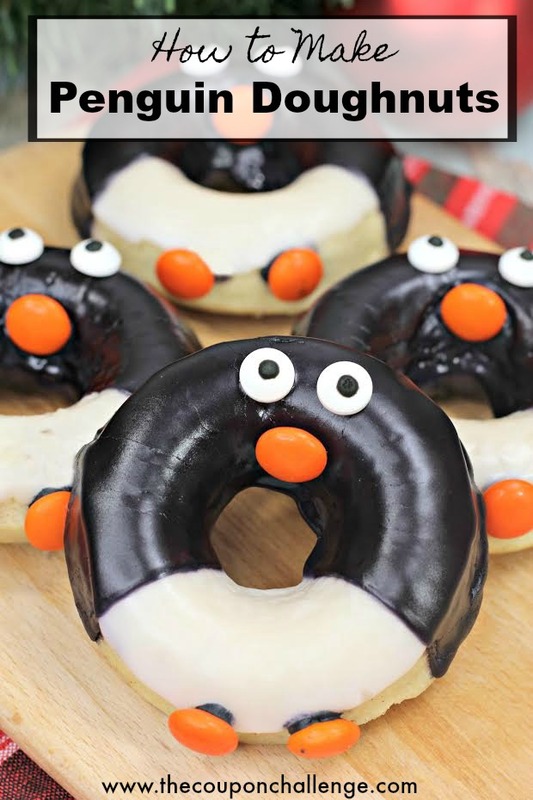 Allow black icing to dry for 30 minutes before enjoying! 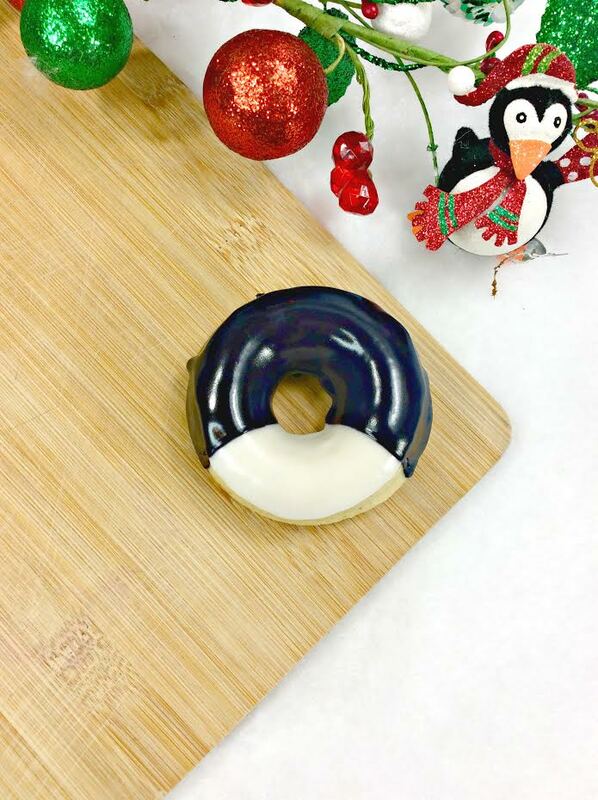 After you try the Penguin doughnut recipe, come back and let us know your thoughts. 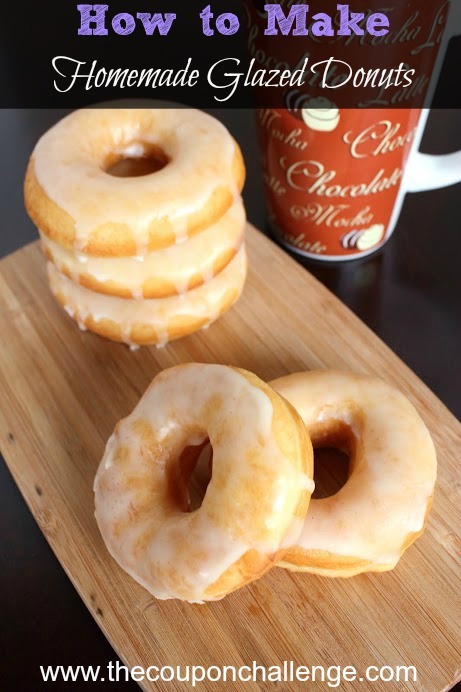 If you need other ideas, you have another recipe for a glazed homemade donuts as well as a fun Mardi Gras Doughnuts Recipe inspired by the Carnival celebrations.